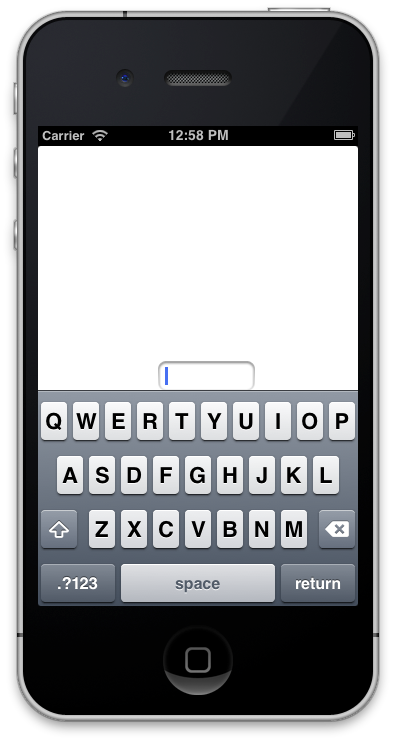 In my previous post I showed you how to have the keyboard resign first responder status when Return is pressed. A little tip: is that you don’t need to set the delegate in code like my previous post, you can use the connections pane and Crtl drag from the textbox delegate to the view controller in the Outlets section. I still had a little niggle about this keyboard covering my view, I really wanted to see what I was doing, so here’s my solution. 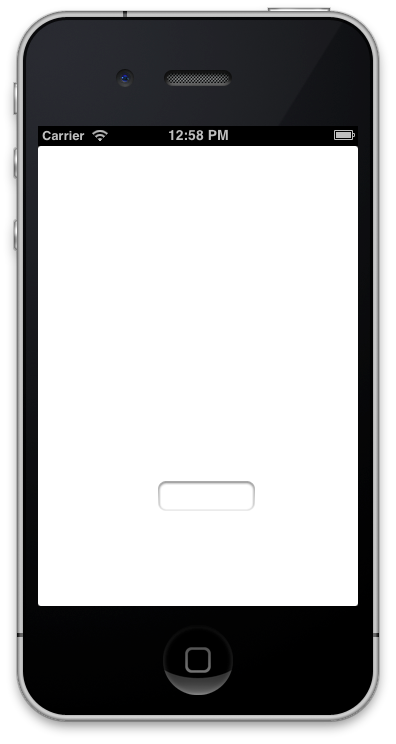 I move the view up by y amount of pixels (-120pixels in this sample). Why negative 120? Well given that your y coordinate starts at 0,0 on the top left (i think I’ve just got a flashback of OS/2 having the origin at the lower left corner… shudder…) we move upwards. When the keyboard presents after the textbox gains first responder status it’s now covered. So how did we implement this function? We change the view frame to shift the y position, and we did it in an animation to give it a little jazz.. 0.6 seconds is a way too slow for my liking but it does really show off the animation for demo purposes. So you’ve written an app and you test out that new data entry field only to find out that the keyboard covers you action buttons and you can’t get it to disappear,,, we’ve all been there, now I’ll explain how to stop this happening. Next we implement the method in the protocol that we are interested in. We do two things in this method, first we call a function on the textField to resign the first responder and then we return YES. 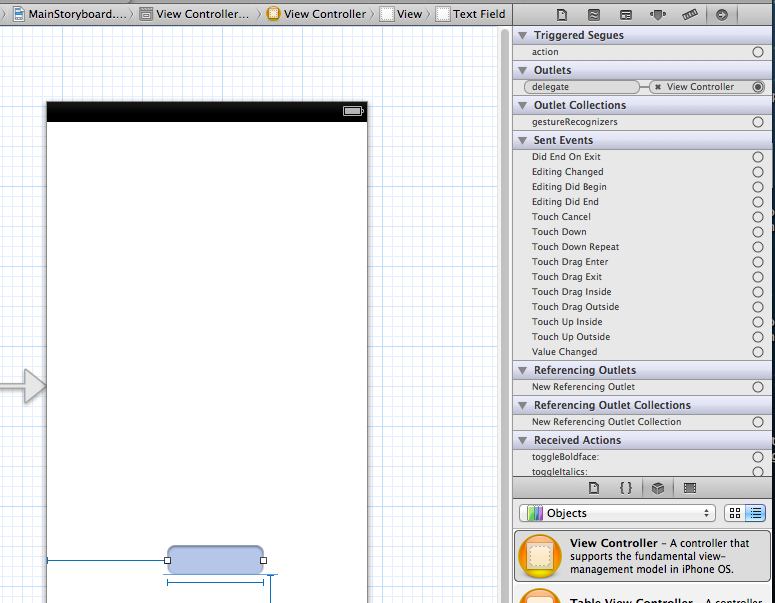 So we are nearly there, we just need to hook up the textField and the delegate, we do this on the viewDidLoad function. 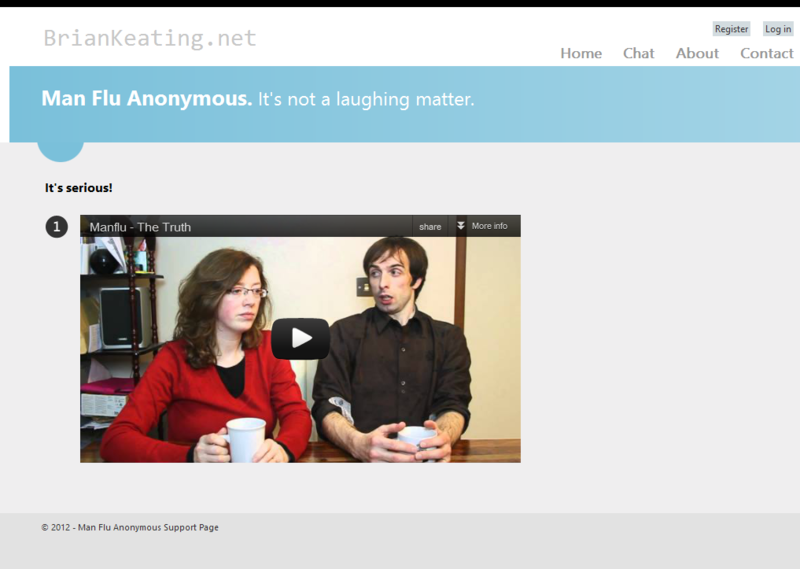 At lunch today I created a little fun website and it only took about 15 minutes (as you can plainly see from the styling). 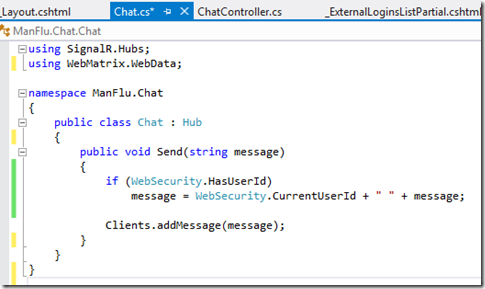 .NET 4 (because at the time of writing Azure doesn’t support .net 4.5 not that I need it). 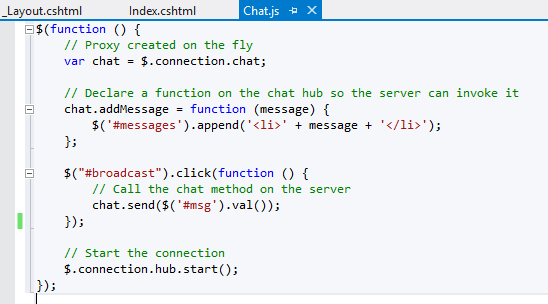 Step 1.Create a ASP MVC4 Web internet web application, add a Chat controller. 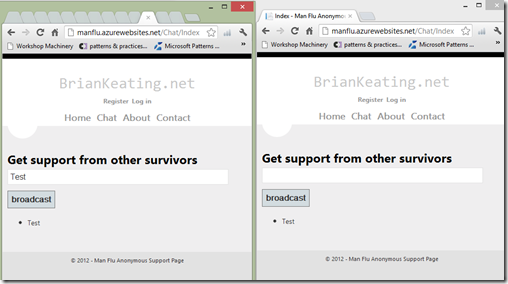 Add a view for the Index method. Step 3. Add the following class to your project. I left it running earlier and these are the messages that people entered over the last few hours. 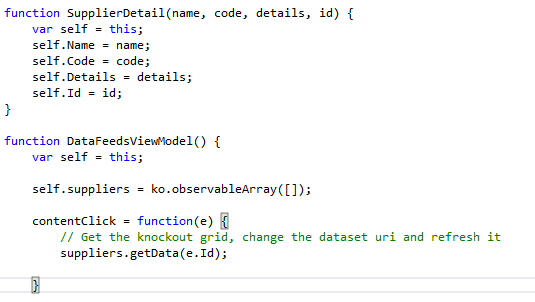 Disclaimer: I copied the SignalR code from someone on the net, if i could remember who I’d give credit. 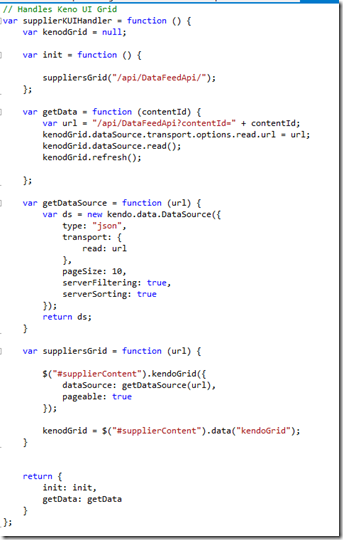 At first I was thinking why oh why had the kendo guys not got the finger out and implemented WebApi support… and I’ve come to the conclusion that they didn’t waste any time on a moving platform…. 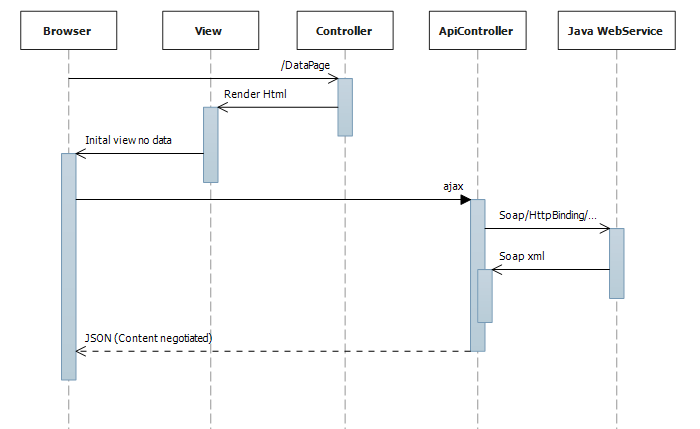 in fact I'd go as far to say as the platform was actually removed with MVC4 RTM… let me explain…. 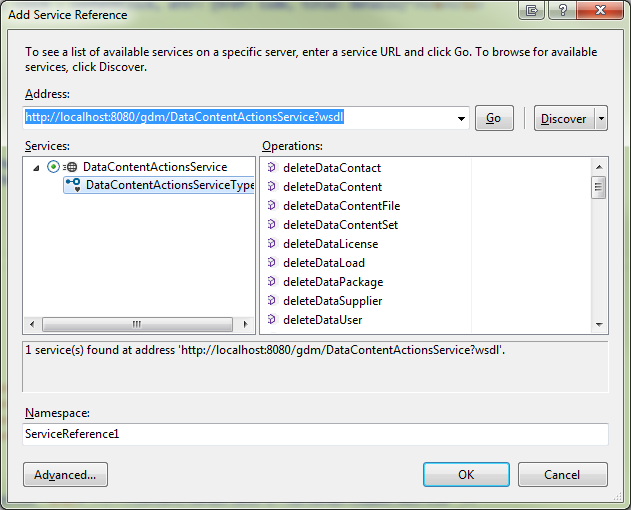 However what I failed to notice was that they removed the existing OData support altogether!! Not to worry, we are where we are and now I need the WebApi to support paging, which previously relied on OData $top $skip $count. So here is my current solution. My return values now have a Total and the Data, I used the following class to help me out here. The next important part is that, I’m getting the result from the .Data field and I’m getting the total form the result.Total field (i also do a bit of mapping for some missing values but that’s application specific). If you have an older project (like my project that I started in VS2012 RC) you may need to add this setting or else you’ll get 404 errors. 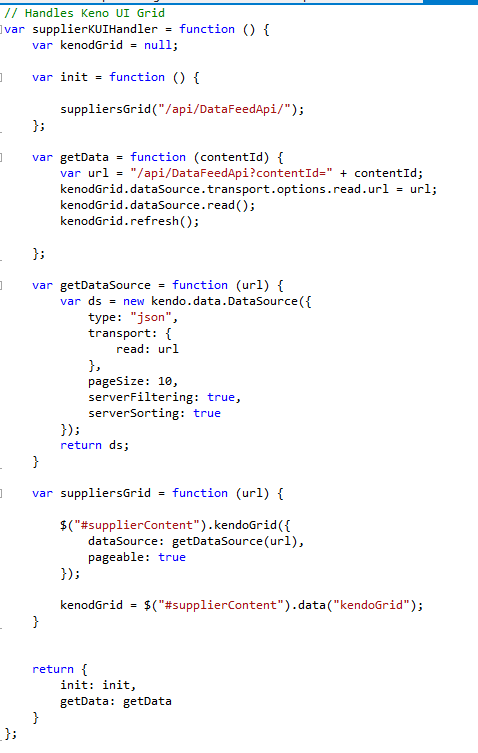 I’ve just been through the mill trying to get kendo grid working with a ASP MVC Web Api Http Post Action. I think it may help someone if I post my findings. 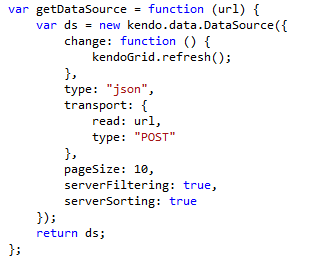 If you use KendoUi you know that the datasource has v.good support of OData, but you’ll most likely also be aware that the WebApi currently is not fully OData compliant (did you notice i said currently!!! I’ve seen some heated discussions regarding OData support with WebApi, and it looks like some headway has been made http://blogs.msdn.com/b/alexj/archive/2012/08/15/odata-support-in-asp-net-web-api.aspx?CommentPosted=true). Now while I’m all on for living on the bleeding edge I’ve decided to give the alpha a miss for now as I need to get this solution into production. But we are, where we are. 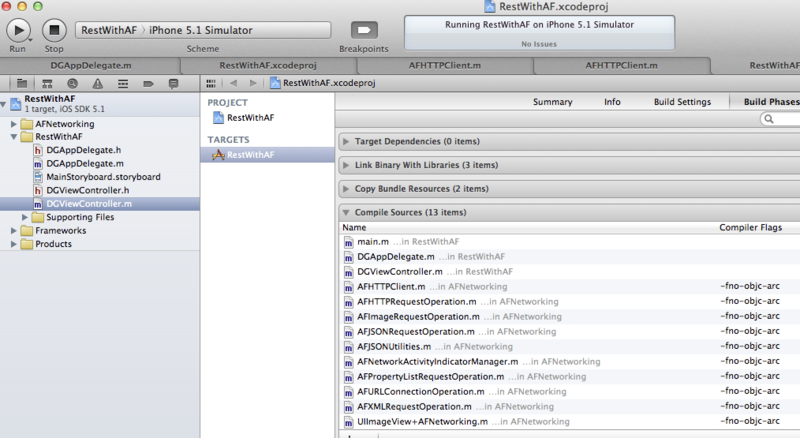 Refresh when the async operation of loading data has finished. Well looking back, not all that difficult, but it’s easy when you know how. 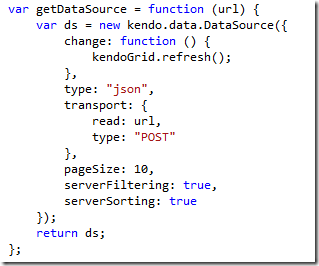 Getting kendo dataset to use Http Post verb. Here we see we’re passing the sf object (that the model binder parses into it’s .net counterpart) to the read function of the dataset, AND we are explicitly setting the transport.options.read.type to “POST”. Look in the screenshot above, I’ve already given this game away! The change callback refreshes the grid once the datasource changes underneath, this it appears is required when going down the ajax route. Tagged: KendoUi, Grid, HttpPost, Grid refresh. In the markup above you can see that the input of id “agree” has bound it’s checked state to the observable, we also see that the submit button has bound it’s enable state. Pretty simple solution client side solution if you’re already using knockout in your application. It helps when reading sample code even if just to translate to c#. 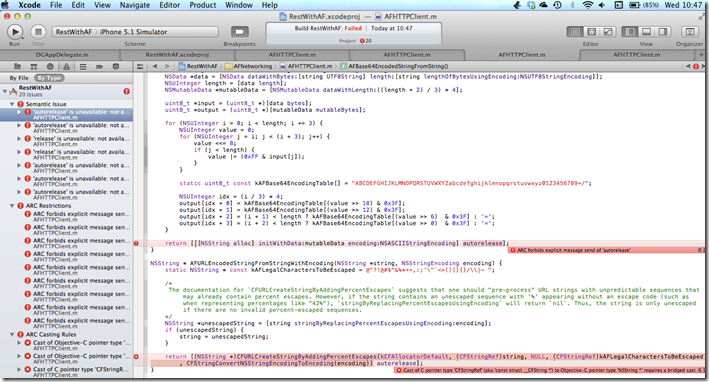 So this morning I was trying to create an iPad app for a RestAPI I’m writing in MVC4 Web Api and I went with Objective-C. I used AFNetworking to make my Rest calls but unfortunately this library was written before ARC (Automatic reference counting). Now for some background: I came to iOS development after the fact and so far I have not had to write non-ARC code (that said I love c++ and deterministic destruction so it wouldn’t bother me that much). Basically this is telling me that the ARC doesn’t allow this pre-ARC code! Well the solution is somewhat simple, you just need to bring up the project properties Targets -> Build Phases -> Compile Sources and add the -fno-objc-arc compiler flag for those particular files. So the heading for this post is a little bit of a mouthful, but I want to tell you a story of how some of these technologies play together, so often in blog posts we are presented with a trivial example (I’m holding my hands up here too) and what we really want to see is that next step, i.e is the tech in question just a nice concept or can it be utilized practically? Let me tell you what I’ve come up with, the application in question could be written with any web tech and just render some static html and we’re done. But we’re moving into web 3.0 (don’t google that I’ve just coined it! ), where our ajax-ey applications are going to the new level. We’ve all heard the stories of these 2.0 web applications that are many hundred thousand lines of code and hard to maintain, so can it be made easier? Of Course! There are many new frameworks out these days, and to be hones it’s impossible to keep up with them all, the main thing to know is what they are for so you can investigate their effectiveness if needed; after your investigation you can decide if you want to continue the relationship a little further, in the post I will present some of the technologies I’ve encountered/like/love want to know better. I’ll explain where I used them and how, hopefully you’ll see that they play quit well together. Type in the location the the webservice (a Soap webservice in my case) and press Go. Give your service a meaningful namespace and click OK. That’s pretty much it, In my case I needed to perform addition Kerberos security configuration in the web.config but you’ll have to figure out what configuration you need for your own webservices yourself. Ok I really want to use RavenDB because I’ve used it in other project and I love the document database approach, it’s got some limitations for reporting etc, but it would be a good fit for our application. Also Entity Framework Code Fist is another good approach and we do already have SqlServer licenses so that’s pretty compelling… The great thing is i can pretty much decide later for now I’m just writing my poco (Plain Old CLR ) objects. I love this tech, (btw: Microsoft if you’re listening please don’t break too much with the RTM version! please please). 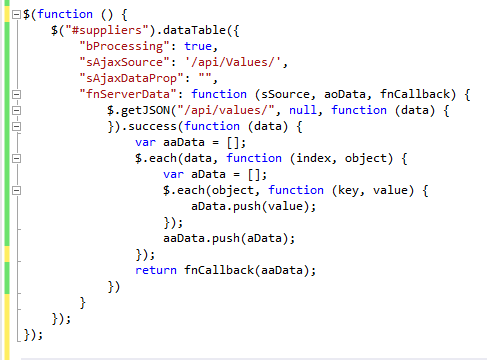 It allows me to offer a nice RESTFull service to my data (coming both from the WCF webservice and my application database), One of the beauties of this API is that it gives some clear direction on how to implement restfull services. MS developers previously we were faced with a decision between WCF and MVC Controllers, while it’s true now we are faced with a decision between Controllers and ApiControllers, for me it’s now clearer; I use my ApiControllers for data access, and I use my standard mvc controllers for rendering the view! 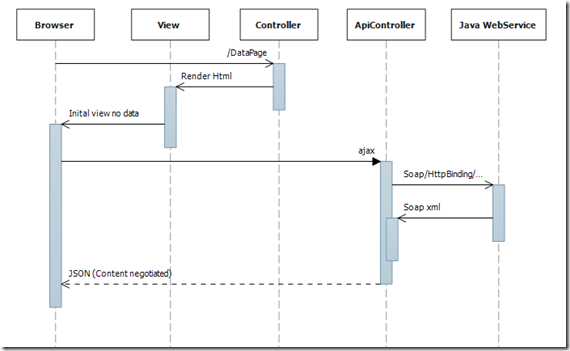 Once the browser loads the page we make a ajax request to the web api, the web api in turn makes an Async request to the java webservice thereby freeing up the ASP thread pool to service other requests and providing better scalability. When the response arrives back to the await the state machine restores the context and a (possibly) new thread picks up from where the first thread left off and returns the data to the browser. A hugely more responsive experience for the end user, as compared with full page refreshes or even partial page refreshes (as in traditional Ajax). 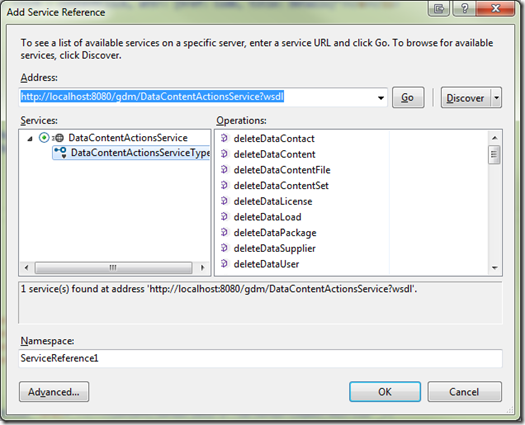 Using WebAPI services as the basic data endpoint creates the opportunity to use multiple client technologies. 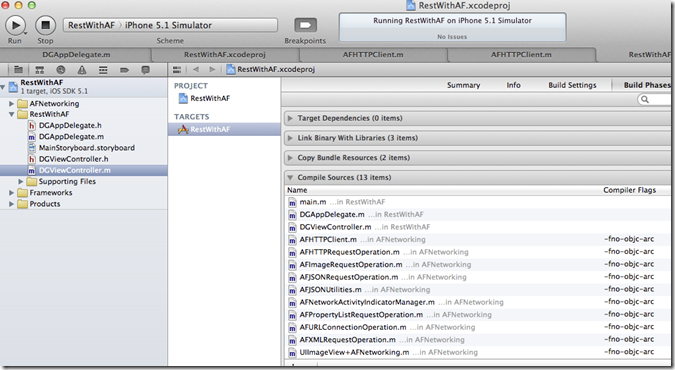 For example, you could create a native smartphone application that connects to the same data endpoints without needing any additional server-side code. The data returned in in JSON format as we queries data via jQuery $.getJson() that sets the appropriate header (content negotiation is handled via Asp MVC4 for us). Above you can see that I’ve got a DataFeedsViewModel, this is the top level view model ($root) that my html is databound to, looking at it with the markup you can see that I’m rendering an unordered list of suppliers IFF there are items in my array. 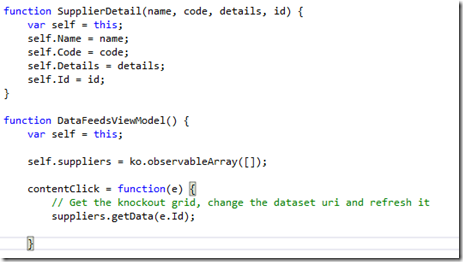 The observable array is used so that the UX/GUI can update should the underlying list of array items change. Each list item has a click handler that is bound to the contentClick function in the $root view model, the beauty of this is the variable ‘e’ is just the single SupplierDetail object that was clicked!! nothing to do with any DOM elements…. 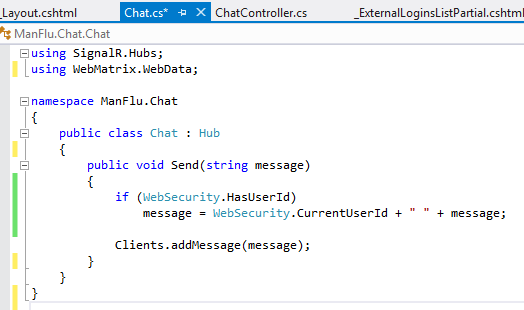 nice..
As I mentioned above I’m using WCF, WCF is composed of three concerns, the ABCs of WCF, (Address, Binding, Contract) is simple terms the Contract is the wsdl and when we add a service reference that a .net Interface gets generated for same. The beauty of this is that in my Unit tests I can mock this interface so I don’t need a real connection to the webservice to test my concerns. For those of you that don’t use mocking frameworks, you should, it saves you creating endless dummy classes that implement interfaces just for testing. getAllDataSupplierInfos method that I return ECB and APX. getDataSupplierForCode(“APX”) returns the Netherland Stuff record. That about sums up what I wanted to show, hope it encourages someone to start playing with any of the above technologies and see if you can leverage them in your own applications. 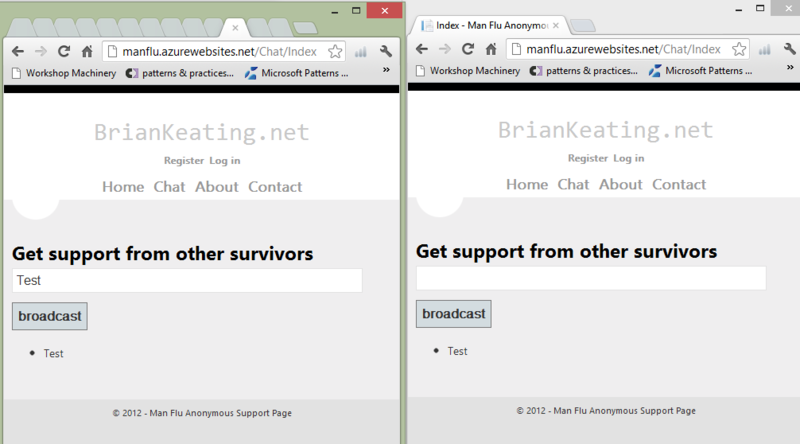 So I’ve been working on Web application that uses the ASP MVC4 Web API. I like this approach especially as it will easily allow me to support other clients I/others may write in future, in so far as, it returns Json and is a RestAPI. Now I’ve never used DataTables before so I’m trialling it as my client side html grid. 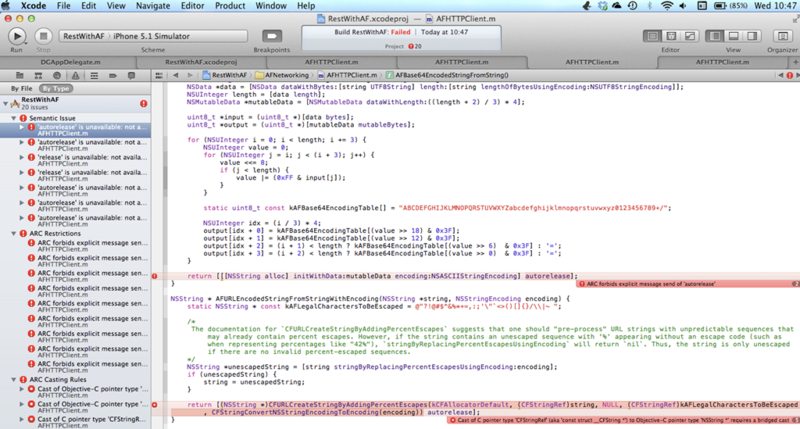 However I quickly ran into problems with it and the expected Json Payload. 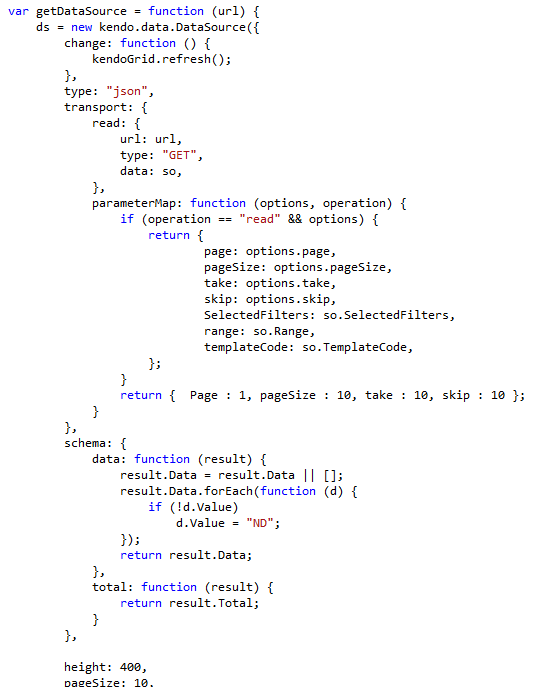 If you are familiar with the various .net Json serializers you’ll get some Json back with Key value pairs. So where can I plug into the pipeline and map this data? fnServerData ! 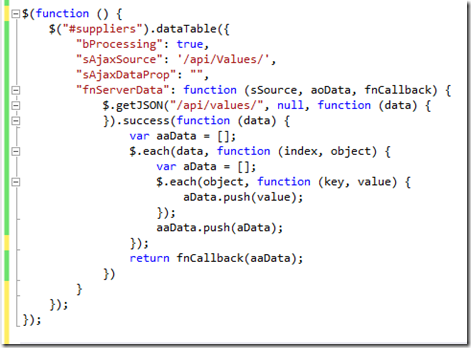 This function allows me to manage how I get and format the data, exactly what I need. Here’s how I’ve implemented it. I’m not saying it’s the best solution! May even have a few bugs, but it appears to do the trick for me for now. 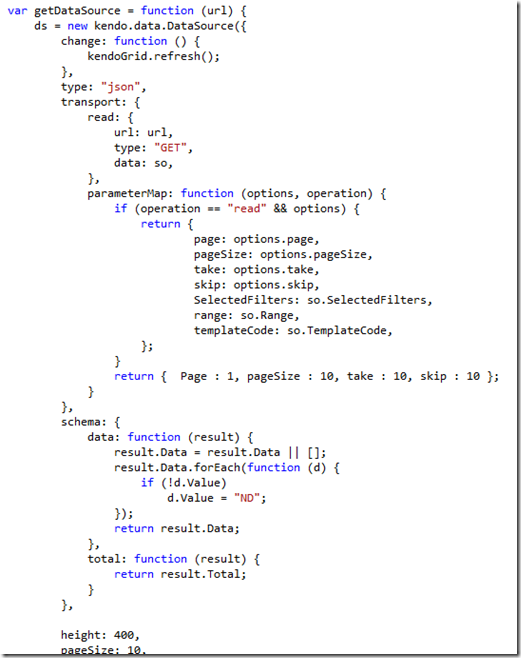 I’ve now read the documentation: and it’s oh so simple to handle the ASP MVC Json array.